I grew up in the 90's when a revolutionary new message exploded on to the scene. That message was "Be extraordinary or be nothing." Average is bad. Ordinary is bad. Basic is bad. Normal is bad. We must be extraordinary in everything we do or we are waisting our lives. To do our best and then do even better! No wonder my generation is full of so many women with diagnosed anxiety disorders. We are walking around with the constant shadow of failure and the idea that we are not living up to our potential no matter what we do. Chasing the extraordinary life is exhausting and humans are not meant to live that way. 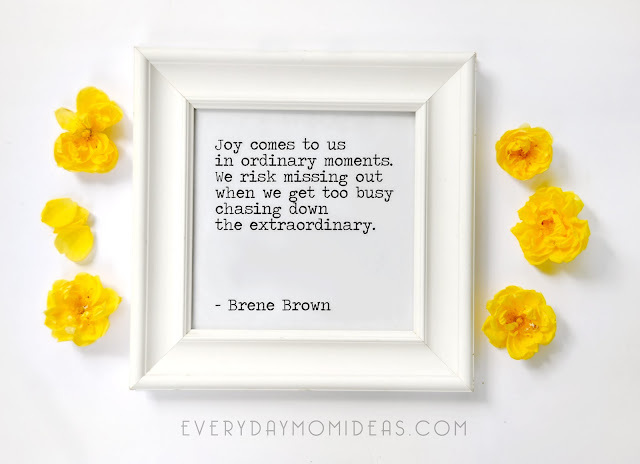 We have to redefine the extraordinary life and leave room for some of the beautiful ordinary moments that bring us true happiness, meaning, and fulfillment. 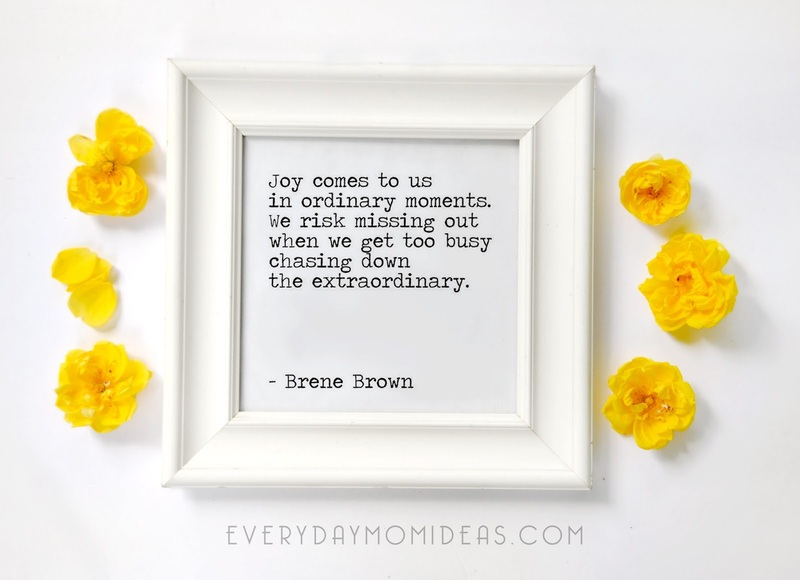 Six thoughts to help you embrace the beautiful average ordinary life of motherhood. 1. You don't have to be an amazing mom. If you want to, just go ahead and be an average mom. You can do it. Let go. Simplify. 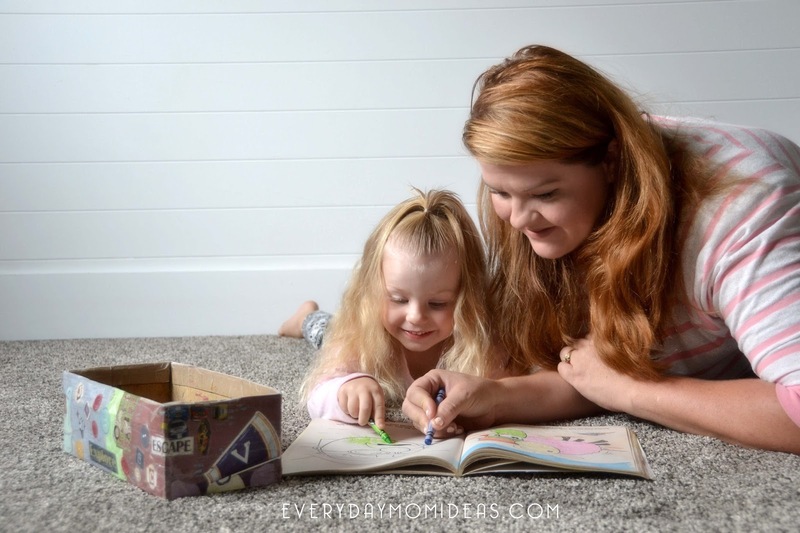 You don't have to be awesome in every area of motherhood either. There are going to be some things you are better at than others. Some areas you like more than others. Its okay to do just enough. Spend your precious energy on the things you love in motherhood and make you feel good. Letting yourself be average can be freeing. Give yourself permission to be average and lean on the individual talents you have been blessed with. Sometimes we are just average and not only is that okay but it can be awesome in itself. 2. It doesn't matter if someone is better than you, that doesn't make you less talented. You cook your family dinner almost every night and Jenny down the street makes gluten free, non-GMO gourmet meals three times a day for her ten kids... that has nothing to do with you! It also does not mean your family doesn't love your cooking and that you don't make amazing spaghetti. So what if someone sews couture dresses for their daughters for their prom that doesn't mean your patchwork quilt isn't awesome. There is always going to be someone better at what you do and it doesn't mean your talent is suddenly invalid. Keep loving the things you love and doing the things you do without comparing yourself to others. Be happy for other women who are killing it at their craft, or being average at their craft. Don't gloat when someone is not as good at something as you either. Encourage and lift up your fellow sister in all her worthwhile pursuits. We don't have to tear others down to lift others up, that includes tearing down ourselves. 3. Everyone is a little bit average. No one can be all things. Every single one of us are here on earth to grow, learn and develop. No one will ever be perfect because we are all in a state of trying to become perfected, therefore perfection is impossible. Remember that next time when the stunning, beautifully fit, Jenny from next store drops her ten perfectly groomed kids off at school in her diamond encrusted mini van. Like you, she is still growing and while she has a lot to work on, she to is trying to do her best and be a good mom the best she knows how. 4. Being average doesn't diminish your value. This is a simple reminder. You are just as awesome as everyone else. You are not more awesome. You are not more valuable. But you are also not any less awesome or valuable as anyone else in the entire world. Let that fully sink in. 5. Being average can be awesome. Some of the best and happiest mothers I know are only doing simple ordinary things in the quiet of their own homes, with their own family, with no one knowing the wiser. These moments may not be Instagram worthy but they are everything to someone. 6. Being ordinary is a luxury. If you grew up like so many of us, where life was often tumultuous and unstable, the "average" looked pretty dreamy. Sure it was exciting to not know if dad was ever coming home or how long you would get to stay at this school before you lost your home again and have to relocate. And yes, I have plenty of crazy interesting stories I can share about my childhood... but NO child should have to live that much of life already. I would have done anything for a nice boring home... nice ordinary parents. A boring life is a beautiful life to many. I am naturally an adventurous person. I love roller coasters, hiking, eating new foods and can't wait to travel the world. Ive always wanted to do big things but my biggest dream has always been to have a stable home, husband and family. I to am bombarded with the worlds definition of a worth while life. And it creeps into my daily thoughts and tries to turn the small and simple things, that I do and hold dear, into meaningless acts of a mundane life. Sometimes the lofty dreams and ambitions we are hardwired to try and achieve rob us of the precious little things right in front of us. The precious little things an extraordinary life is built on. 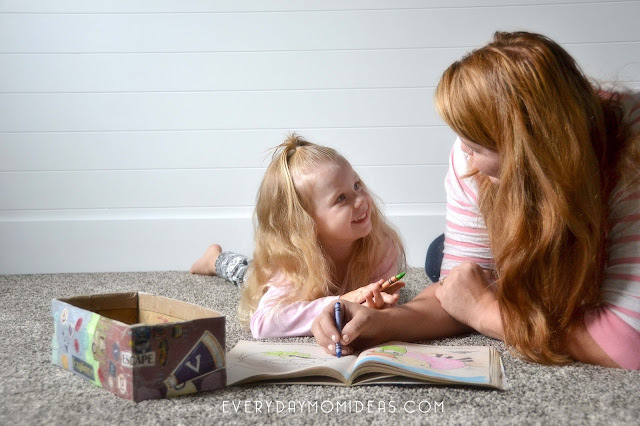 How do you simplify motherhood and find moments of peace and fulfillment?